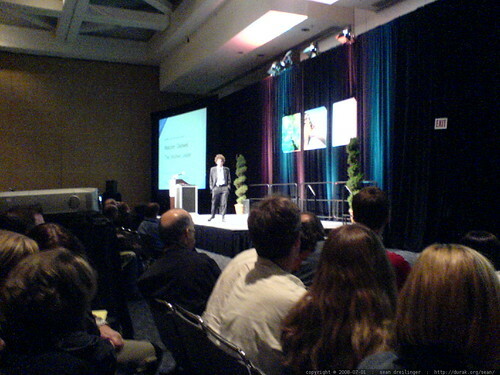 according to his wikipedia page, malcolm gladwell earns up to $40,000 to give this talk. he packed this keynote despite economic grief in the builder market reducing trade show attendance overall. one industry insider told me the peak attendance at this conference was 33,400 people in 2006, 26,700 in 2007, and that has dwindled down to 20,000 attendees this year.